the poet is born-again under the sun. as she finds the courage to be herself. Success and fluency her just rewards. open your eyes, count your blessings. meet her vigour with purity of spirit. be seated upon the thrill of her body. He who feels vital, healthy and alive. He who radiates what he believes in. On its head, success goes to his head! while he lays in the sun and blisters. his heart’s benevolence is blackened. before he can get hold of any success. and Maat’s graceful feather of Truth. where mind, body and soul shimmer. behold the day of Judgement arrives! Oh, dear Deborah. That third stanza is a perfect image of the solar king gone wrong–a description of the swollen head in the White House. May conflicts and delays stop his progress. And the destructive fire in London that killed so many and caught the attention of the world. Solar energy gone wrong and abused. I’m responding more to the comments than to the poem here. The Day of Judgment will come. But, first, the Sun in a positive orientation (or in astrology, a positive aspect). Light, life, radiance, heat, power, creativity. I have four planets in Leo in my astrology chart, so lots of Solar Fire, but it easily burns too hot. I think of the Goddess Nut in Egypt who swallows the Sun at night and births Him each morning–so there is the resting time of rejuvenation within the body of the Goddess before the Sun comes into His full heat again. Without that rest, the energy would incinerate us all–and sometimes it does. I love reading your words and feeling the Lunar and Solar balance in your poems and prose. I don’t want this series to end, but like all things, it must. Soon, but I have one more to go. Sending love and gratitude and ever more illumination. Thank you so much Elaine for your insightful review of The Sun and kind-hearted feedback on my latest Tarot poem. Ha-Ha! I love your mythical and amusing vision of the Solar King gone crazy and where one like him might live! Throughout the world, reversed solar energy seems to be literally aflame at this time with fires in London, Portugal and South Africa … it feels worldwide this week. Utterly devastating and life-destroying! It’s wonderful when you write about the ancient goddess Nut, I do find myself deeply drawn to her divine stories. With astrology, I know so little, much like numerology I’d like to discover more. A few years ago I ordered a psychological birth chart from the amazing astrologer, and Jungian analyst Liz Greene, it was truly awesome. Four planets in Leo sounds like an abundance of solar power, I have Leo in 12th house, no Leo elsewhere. Today I completed my Fool’s (Poet’s) Journey and posted “The World” earlier, however there’s still Judgement before you finally return to The Fool. You’ve best the greatest of companions on my incredible journey! Blessings always, Deborah. This is the perfect day to read the next stage of the poets journey Deborah – here we are blessed with beautiful sunshine and at the end of the working day, with all the sadness that abounds as the scale of the tragedy in London becomes clearer, I have stepped out into the sunlight for a short walk to lift my spirits and shine a light for those affected. Walking is one of the simpler pleasures for me, I put everything to one side to find inner balance for my mind, body and spirit…I know my spirit loves to walk in woodlands on a sunny day and forest bathe! And so it is for the Sun card, it brings rebirth and clarity, illuminating the truth and what is real – bringing happiness and energy back into my life in even the darkest of times. Another beautifully worded piece Deborah – thank you. Today the beautiful light and warmth from the sun feels overshadowed. As I woke to this shattering news, at first I thought I was watching some old disaster movie with a whole tower block ablaze. Then came the heart-breaking reports of people being unable to leave. Many jumped, and the story of a baby who was carefully dropped nine floors to be caught by some great soul. Oh my heart cannot stop aching as the fire burns on. Often for solace I turn to Rumi he writes, “When the world pushes you to your knees, you’re in the perfect position to pray.” So true. In such dark times I remind myself to turn towards the light and see love and kindness in this world. How quickly people offered food, clothes, money and accommodation for those affected. The very same thing happened in Manchester only a few weeks ago. I love that old song, “Walking back to Happiness” because it’s true and can be achieved. Returning to nature is what I crave most after my long, six month descent into the Tarot. “Forest bathing” is such a wonderful way of expressing the simple joy of reconnecting to nature’s (other) soothing and restorative rays. It certainly lifts my spirit too! Blessings always, Deborah. Deborah, success and fluency are yours!! 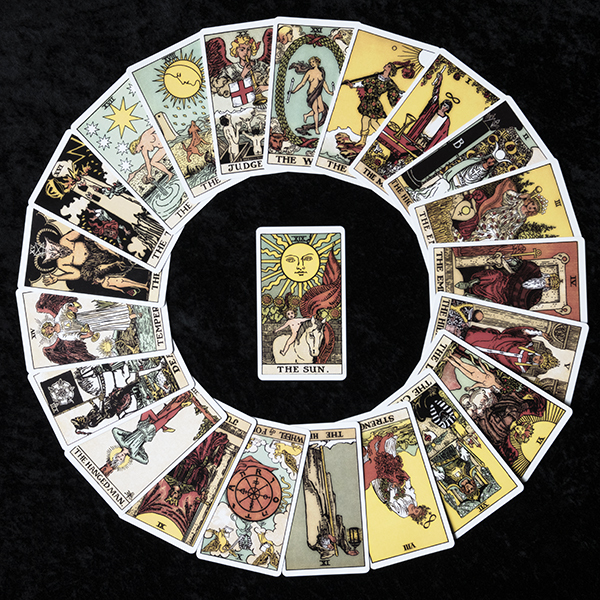 Outstanding tarot work, highly original with your poetic stamp all over it. I enjoyed the Sun’s narcissistic reverse. Your poetry mesmerizes many hearts including mine. Thanks, Anna. Thank you so much Anna for your truly generous comment! I love what you wrote about my “poetic stamp” that’s so very kind of you. As I turned the card upside down I met a haughty man, full of himself with no feeling for others … long delays, long delays I was told! Warm wishes to you, Deborah. Ha-ha! You’re so quick of the mark! No, but here’s the thing, this week I dreamt I met an author called Danold, well that’s what his name sounded like only he did have an American accent so I may have misheard him. Anyhow the next day I read this amazing article by the Jungian Analyst Donald Kalsched, which blows my mind! I take a look at his picture and wow! He’s the same man as in my dream!! Pure synchronicity, much like your one liner yet it’s all connected up somehow. Danold, Donald, Jung, Sun, Animus, Dream, Tarot – look for the inner connection? I think the connection is a Soul one as Kalsched writes about childhood trauma and in the dream he came with a small boy around four years old. Hmm, I’m going to mull it over more while I prepare dinner, thank you! After all of the complications, the solution is simple enough for a child to understand. We saw the fool who wrestled, hung himself, died and returned. And after all that struggle, you’d expect the Hermit. And unfortunately that is what a lot of people decide after the struggle of life has bitten them where it hurts. To be reborn as a child of the sun. Trusting, confident, filled with the joy of life. Isn’t that what we all want? You have helped me to embrace my inner poet Deborah. Thank you for bringing me here. We are almost done. Just one more card to put the crone on our journey through the great arcana of the tarot. Thank you so much Susanne for your illuminating gift of words and rich insights on The Sun. Yes, I agree many will and do seek out the reversed Hermit following Death and the collapse of one’s Tower … unhappily moving themselves into those cloistered, ivory towers, instead of returning to life and returning to relationship. Your understanding of the Tarot is wonderful! What a magical, and transformative journey we take when we honour ourselves, follow our own bliss, and set the ego aside to integrate our shadow natures … to become a child of the sun and hold that purity of spirit. 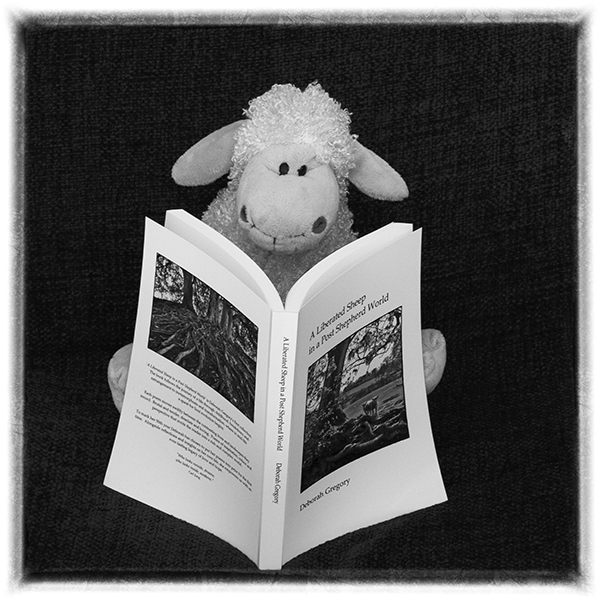 I’m so pleased that you’ve embraced your inner poet such a joy to read! There are only two more poems to go, I can hardly believe it. Warm wishes to you, Deborah.